Josh Smith is the guy everyone loves to watch but no one wants on their team. A player known for wasting his athletic gifts on 20-foot jump shots, Smith may be the most criticized player in the NBA. On the one hand, he's capable of completely dominating games, racking up double-doubles on a nightly basis and one of the few players in the league capable of giving his team a triple-double or two every year. On the other hand, he's known for his lethargy, poor shot choice, and inconsistency. 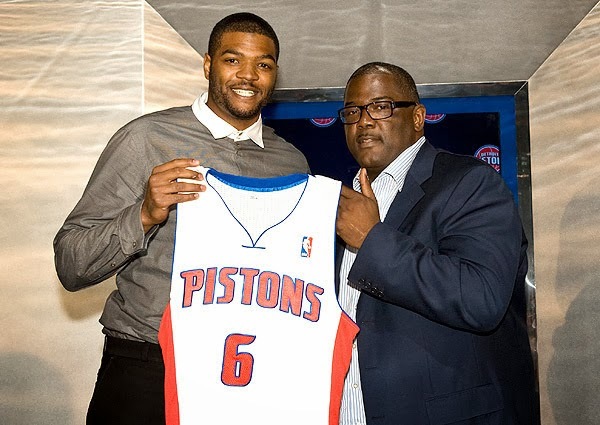 But Josh Smith is a Piston on a hefty contract that his talents demand. What Mo Cheeks and Rasheed Wallace can do with Smith will determine how this franchise functions in the coming years. An obvious trend emerges: either through the structure of the offense or his reputation preceding him, Smith has spent most of the preseason tossing up long two-pointers and the occasional three, eschewing shots at the basket altogether. Of course, this was always a concern. With Monroe and Drummond on the floor, schematically, Smith would likely be moved away from the area of the floor that he is most successful. 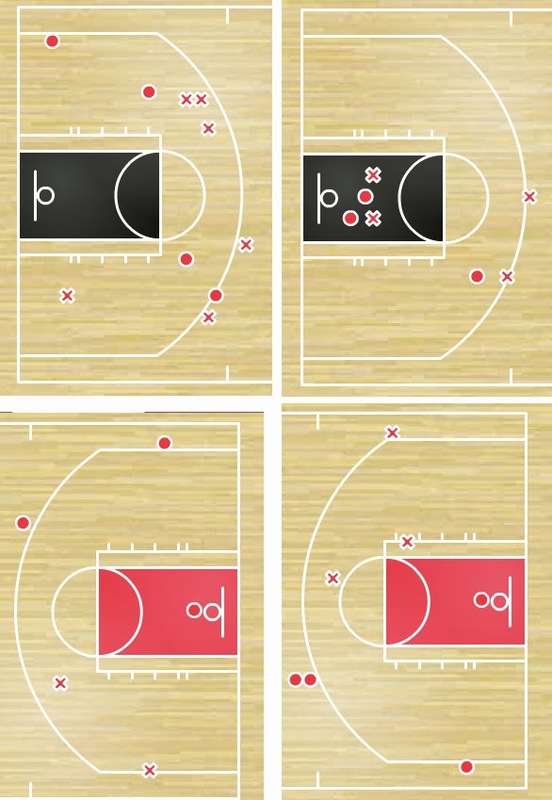 Few assumed it would be this bad: in three of the preseason games to date, Smith attempted only two shots at the rim. That's the bad. The good: in those four games, Smith has pulled down 16 rebounds (remember who he's playing next to) and dished 10 assists. He's also shot 8-17 on twos (47%), which largely consist of the long, awful variety; but hey, if he can hit them, maybe he turns into Carmelo Anthony. Except Smith isn't Melo. He's Josh Smith and even a decent shooting percentage from this range isn't sustainable, as evidenced by his entire career. Mo Cheeks has a dilemma, and frankly, so does Joe Dumars who insisted fit didn't matter as much as finding high-level talent and putting it on the court. Caveats apply during the preseason, namely, that the entire Pistons' backcourt is injured making it difficult for the team to generate consistent offense. Regardless, how Smith excels in the current offense is yet to be realized. As I've harped on for weeks now, I fully expect the Pistons to trade Greg Monroe sometime this season. Until that time (and continuing throughout the season if Monroe stays on the roster), Smith will start at small forward. If/when Monroe is dealt, Smith will immediately become the team's starting power forward, a position more suited to his skillset. If nothing else, Smith gives the Pistons incredible versatility and the ability to play a dominant front line at all times (some combination of Drummond, Monroe, and Smith, or all three at once). But through four preseason games, it's obvious that the Pistons offense has all of the problems fans anticipated when Smith was first signed. He's proven to be a dominant defensive presence on help defense, allowing Monroe and Drummond to both help the on-ball defender with a rim protector behind them, but it's unclear if that makes up for the offensive deficiencies currently facing the team. For better or worse--probably better--Smith is one of the key players for the Pistons for the next four years. Finding a way to integrate him into the offense will be Job 1 for Mo Cheeks this year.